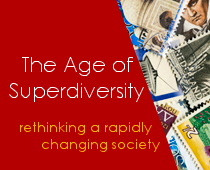 Super-diversity may not yet be a term of art in the field of fundamental rights, but courts are undoubtedly confronted with cases that de facto concern super-diversity, understood here as referring to various layers of ethnic population diversity and the related differential rights of the distinctive groups. Professor Kristin Henrard (Erasmus University, The Netherlands) analyses selected cases of the ECtHR in light of a theoretical frame of analysis concerning rights, interpretation of and legitimate limitations to rights. The comparison of the reasoning in these cases reveals marked differences in approach. This IRiS Working Paper (no.10/2015) proceeds with a call for a consistent incorporation by the ECtHR of ‘super-diversity’ considerations in the reasoning of judgments on fundamental rights of the respective groups.